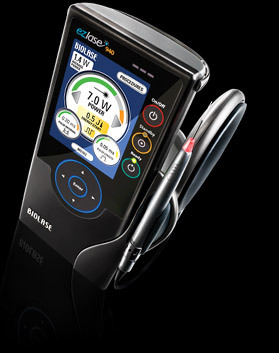 Biolase (www.biolase.com) has announced a special purchase program for their ezlase diode laser. 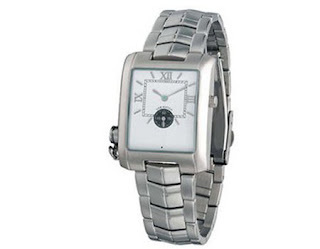 Between now and December 31, 2007, 0% interest on your purchase. The ezlase is a diode laser that can be purchased in either 810nm or 980 nm wavelengths. It has a wireless foot control and unidose fiber tips. 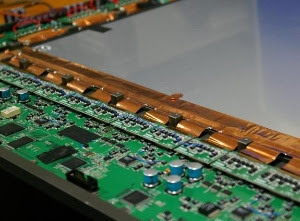 In the last couple of years, many manufacturers have greatly reduced the footprint of their diodes. The ezlase is currently one of the smallest. Denville, N.J. – November 29, 2007 – Lantis Laser Inc. (Other OTC: LLSR.PK - News) (http://www.lantislaser.com), a New Jersey-based company specializing in the commercialization of advanced dental technology, recently won a Popular Science Magazine 2007 Best of What’s New award for its newly developed Optical Coherence Tomography (OCT) Dental Imaging System™. Lantis’ proprietary OCT System is a diagnostic aid that provides real-time, high-resolution chairside imaging of dental tissue for the early detection of tooth decay and other oral diseases. Lantis Laser’s OCT Dental Imaging System™, which is scheduled to launch in August 2008, was a winner in the Personal Health Category because it provides up to 10 times the resolution of a standard x-ray, which enables much earlier detection of tooth decay than is currently possible. Importantly, unlike x-rays, which emit harmful radiation, the OCT Dental Imaging System™ utilizes an innovative, safe, non-invasive light that is passed over the tooth surface using a small, pen-like handheld scanner to capture images of the teeth. It can be used safely on children (and pregnant women), enabling the dentist to diagnose and implement a program to safeguard the oral health of mother and child alike. Each year, the editors of Popular Science review thousands of products in search of the top 100 tech innovations of the year; breakthrough products and technologies that represent a significant leap in their categories. The winners — the Best of What's New — are awarded inclusion in the much-anticipated December issue of Popular Science, the most widely read issue of the year since the debut of Best of What's New in 1987. Best of What’s New awards are presented to 100 new products and technologies in 10 categories: Automotive, Aviation & Space, Computing, Engineering, Gadgets, Green Tech, Home Entertainment, Home Tech, Personal Health, and Recreation. 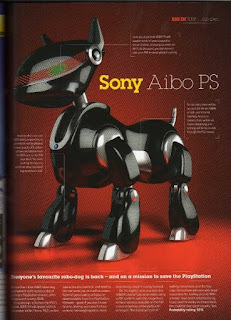 Visit http://www.popsci.com/popsci/flat/bown/2007/ for more information. Founded in 1872, Popular Science is the world’s largest science and technology magazine, with a circulation of 1.3 million and 6.8 million monthly readers. Each month, Popular Science reports on the intersection of science and everyday life, with an eye toward what’s new and why it matters. Popular Science is published by Bonnier Active Media, a subsidiary of Bonnier Corporation. 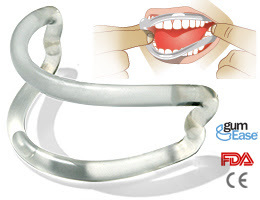 Lantis was formed to commercialize the application of novel technologies in the dental industry. The criteria for selected products include competitive edge, exclusivity, and large market potential. 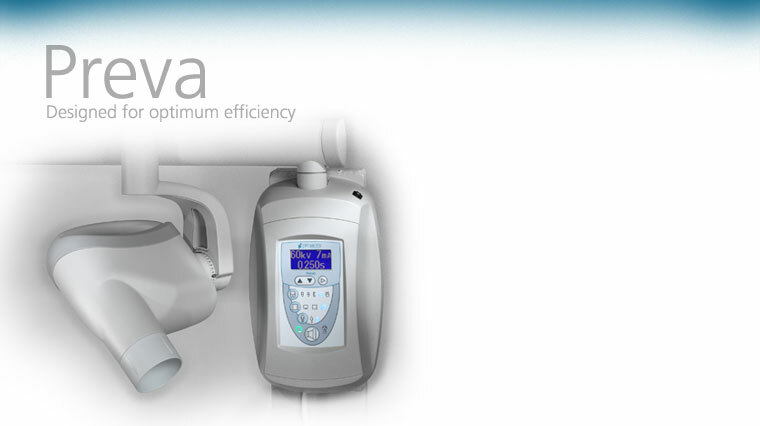 The Company plans to launch the OCT Dental Imaging System™ in the third quarter of 2008 as its first product. Lantis has exclusive rights to the application of OCT technology in the field of dentistry under its license agreements with Lawrence Livermore National Laboratory and LightLab Imaging. OCT was invented in the early 1990's at the Massachusetts Institute of Technology and is currently being commercialized by Carl Zeiss Meditec, Inc. in ophthalmology and by LightLab Imaging for cardiovascular imaging. 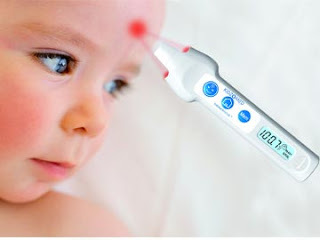 To find out more about Lantis Laser (LLSR: PK), visit their website at www.lantislaser.com. CBCT scanners are beginning to make inroads in dentistry. The 3D volumetric images allow practitioners to see more and in much greater detail than can be done with a standard 2 dimensional radiograph. Now Toshiba is announcing a new device for the medical field that provides similar types of images. 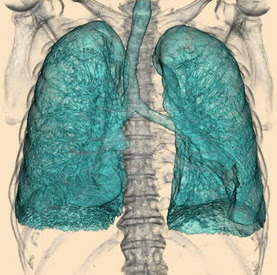 The AquilionONE, which has received FDA clearance allows doctors to image entire organs in 3D for faster and more accurate diagnosis. CHICAGO, OH — November 27, 2007 — Toshiba America Medical Systems, Inc., a leader in diagnostic and medical imaging, today announced FDA clearance of the most advanced diagnostic imaging computed tomography (CT) equipment available — the AquilionONE™. With this clearance, Toshiba is on schedule to make the system commercially available in summer, 2008. AquilionONE, the world's first dynamic volume CT system, revolutionizes patient care because it can help reduce diagnosis time for life threatening diseases like stroke and heart disease from days and hours to mere minutes. For the first time, physicians can see not only a three-dimensional depiction of an organ, but also the organ's blood flow and dynamic function. Unlike any other CT system, the AquilionONE can scan one organ — including heart, brain and others — in one rotation because it covers up to 16 cm of anatomy using 320 ultra high resolution 0.5mm detector elements. This reduces exam time, as well as radiation and contrast dose, and dramatically increases diagnostic confidence. With the AquilionONE, the organ or area is captured in a single rotation at one moment in time, eliminating the need to reconstruct slices from multiple points in time. "I believe that the AquilionONE is a quantum leap in the versatility of CT to help manage patient care," said Doug Ryan, senior director, CT Business Unit, Toshiba. "Dynamic volume CT helps provide a faster, more accurate diagnosis while reducing healthcare costs." It seems a couple of researchers in Canada may have come up with the next big thing in toothbrushes. A brush that uses light to create a chemical reaction that destroys plaque bacteria. Drs. Kunio Komiyama and Gerry Uswak are currently looking for 120 subjects to test the brush on. The chemical reaction is said to work so well that toothpaste is not necessary. As expected, shareholders from both satellite companies voted to approve the proposed merger. Sirius stated that 96% of its subscribers voted in favor of the merger while XM reported that 99.8% of its subscribers voted in favor. This development was no surprise. Next comes the decision by the FCC which will approve or deny the proposed merger between the former satellite radio rivals. I'm in favor of the merger. There are so many entertainment options now for consumers that this only makes sense. As an XM subscriber I can hardly wait for a combined programming menu. A security flaw in Apple Mail that was fixed last year has returned from the grave to haunt those using the e-mail app in conjunction with the latest version of Apple's operating system, Mac OS X 10.5, otherwise known as "Leopard." An attacker exploiting the security flaw could create an e-mail attachment that appears to be, for example, a JPEG image file, but executes malicious code when clicked on, without the warning dialogue that should be present. "In March 2006, Apple corrected this problem," says Heise Security on its Web site. "On a current installation of the Tiger OS, Apple Mail issues a warning that the supposed image file is a program and is to be opened with Terminal. Apple apparently either did not incorporate this update into Leopard, or did not do it correctly." Apple's Security Update 2006-001 fixed the flaw. "In Mac OS X v10.4 Tiger, when an e-mail attachment is double-clicked in Mail, Download Validation is used to warn the user if the file type is not 'safe," Apple's Security Update explains. "Certain techniques can be used to disguise the file's type so that Download Validation is bypassed. This update addresses the issue by presenting Download Validation with the entire file, providing more information for Download Validation to detect unknown or unsafe file types in attachments." Malvern, PA (November 19, 2007) - The DentalEZ® Group, with corporate headquarters located in Malvern, PA. has expanded its presence in the dental industry with the recent purchase of Nevin Laboratories, Inc. of Chicago, IL. Gordon Hagler, President of DentalEZ, along with Bob Nevin and Denis Sexton of Nevin, completed the transaction on November 14, 2007. “We know our association with DentalEZ will give us the resources necessary for significant growth,” remarked Nevin. Nevin Laboratories, Inc. has been designing, building and installing modular steel cabinets and workstations for dental laboratories for over 85 years. 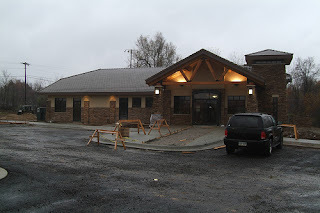 Among Nevin’s other customers are both commercial and dental office laboratories, as well as vocational schools, universities, Veterans Administration, Military hospitals and clinics. For more information about Nevin Laboratories, please logon to www.nevinlabs.com. The DentalEZ Group, consisting of 5 well known brands, sells products for the dental operatory. StarDental manufactures dental handpieces, CustomAir manufactures wet ring pumps, DentalEZ manufactures dental chairs, units, lights, stools and operatory furniture, RAMVAC manufactures dry vacuum systems and CustomAir compressors, and Columbia Dentoform manufactures models, mannequins, teeth and other teaching aids for dentists, dental schools and veterinary practices. 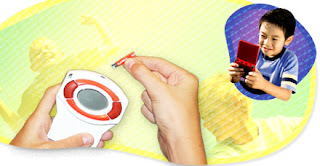 For more information about DentalEZ Group, please logon to www.dentalez.com. A definite peak at the future. Behold the RTX Telehealth Monitor. 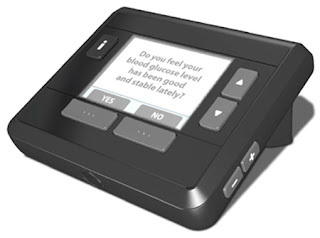 The device is aimed at patients suffering from chronic diseases who require monitoring by a health professional. 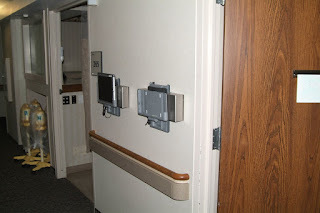 The security of your patient data is important, especially when you are taking it off-site. You want to make sure your data is safe from disaster as well as from being stolen. 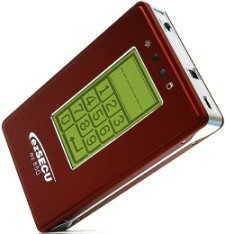 The device shown above is the "Cutie Bio" removable drive. 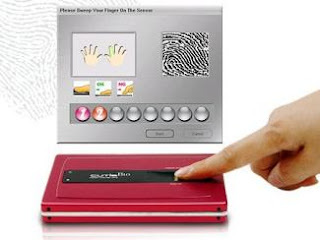 This USB 2.0 drive has a fingerprint scanner built in which means only you and your fingerprint can access the data. Without the fingerprint scan, the encrypted data is unreadable. The drive lists for $58.55 which seems incredibly reasonable, but the capacity of the drive is not yet known. 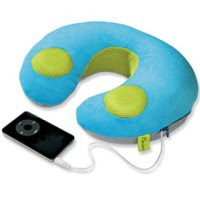 It comes with everything you need including a zippered carrying case. A couple of drawbacks are that it is Windows only at this time and the drive isn't powered through the USB bus. It actually has a power connector that connects to a separate USB so it requires 2 separate USB ports to run. More info is available from the company website. 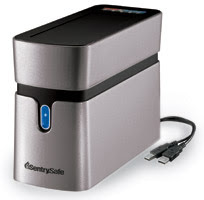 Although not portable enough to be removed and taken off-site as your off-site backup, this device from Sentry Safe could keep your data safe in case of an on-site disaster. The device is listed as "the world's first and only fire resistant and waterproof hard drive". 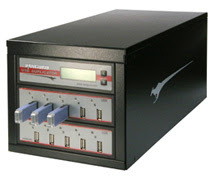 The idea being that in case of a fire and/or flood, the sealed hard drive box would survive with your data intact, much as the black box in the airline industry. The sealed box also protects the hard drive from dust and dirt. It comes in 80GB and 160GB sizes. The drives are Maxtor so you know the quality is there. It is USB 2.0 and receives power from the USB bus so there is no need for external power. It is rated to resist 1500 degrees Farenheit for up to 30 minutes. and is ETL verified waterproof for submersion. 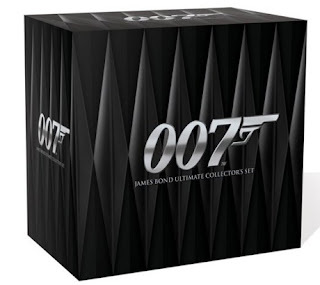 Cost of the 160GB model is $319 and it is due to be available on December 1. For more info go to the company website. 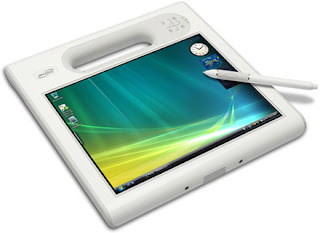 Microsoft has released the first beta of Vista Service Pack 1. The beta went out yesterday, November 16th. From what I'm reading it seems the update allows for faster networking, improved wake from sleep speeds, and better laptop battery life. Redmond yet on what the final release date will be though. Midmark corporation, a manufacturer of dental and medical equipment has purchased dental cabinetry maker European Design as of November 9th. Plans are for "business as usual" for European Design for at least the next 2 years. DAYTON, OH — Medical equipment manufacturer Midmark Corp. has acquired Glasgow, Kentucky-based European Design, a designed-cabinetry manufacturer for the dental industry, according to the Dayton Business Journal. Midmark is based out of Versailles, OH, and makes a full line of products for the medical, dental, veterinary and digital diagnostic markets. European Design was recently rated the 12th fastest growing company in the wood industry by Wood & Wood Products magazine. John and Deborah Brinkerhoff, the company’s former owners and founders will remain with Midmark as consultants. I was at the open house for Goetze Dental here in KC today. They are the supply house that has been helping with the equipment in my new facility. One of the highlights of the day was getting to see some of my new equipment which is being stored in their warehouse. This is the Air Techniques AirStar 50 which is a special pink model in support of Air Technique's (and my) fight against breast cancer. 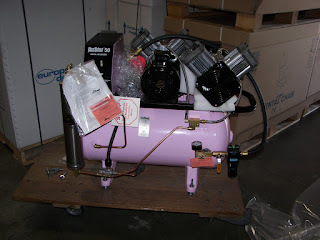 Both this compressor and my new Air Tech vacuum system are painted pink! I just completed the update to Leopard using "Software Update" and all went well. The update for my particular system was only about 38MB which only took a minute or so over my broadband connection. After the update download, the MacBook Pro required a reboot and during the boot process the update was installed. Overall it took about 5 minutes to complete. I've only been using the system for about 10 minutes as of this posting and so far so good. If any problems present themselves, I'll be sure and let you know about it here. 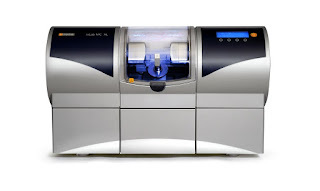 Ivoclar Vivadent Announces Investment in Sirona Dental Systems, Inc.
Ivoclar Vivadent AG announced today that it has made an investment in Sirona Dental Systems, Inc., one of the world's leading manufacturers of high-technology dental equipment. Sirona's CEREC System today is the world's only CAD/CAM system for chairside dentistry, and their inLab technology is a market leader with dental laboratories. Ivoclar Vivadent is the market leader in all ceramic metal free materials for esthetic dentistry and is a material partner for Sirona's CEREC System and inLab Technology. "This investment represents our commitment to the growth of CAD/CAM systems and our belief that this technology provides benefits to the dental industry, the dental profession and to the patient", said Robert A. Ganley, Chief Executive Officer of Ivoclar Vivadent AG. "Sirona has been a very valuable partner with Ivoclar Vivadent and we look forward to building the growth of CAD/CAM together in the future." CAD/CAM dentistry represents one of the fastest growing sectors of dentistry with expectations for continued rapid growth. "We have had a long lasting relationship with Ivoclar Vivadent and we are very excited about this investment and our mutual success in the future. This year we are celebrating our 20 year anniversary of CEREC and this investment is further evidence of our established success and growth potential", said Jost Fischer, Chairman, President and Chief Executive Officer of Sirona Dental Systems, Inc. Taking a cue from the people at Sirius, XM has announced that they now have an "All Led Zeppelin" channel. Until May 2008, XM channel 59 will be known as XM Led and features nothing but music by Led Zeppelin. The channel features all of the songs that Zeppelin has released over the years as well as snippets of interviews recorded from different times since the band was formed. As a committed Zep fan, I'm loving it. Rock on! Well we can all hope, I suppose. As you know, I'm not a fan of Vista at this point in time, especially for running your business. 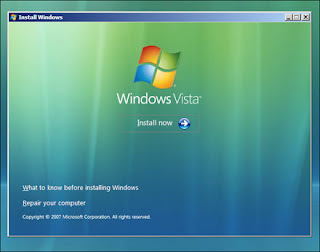 However, if you're one of the people who have a machine (or several machines) running Vista, today is a big day. MS is releasing a patch that they hope will solve many Vista problems. This update should help improve wireless connectivity (especially the stability of the connection), extend battery life, help with compatibility problems with some antivirus programs, and shorten recovery time from the sleep and hibernation modes. There is also an update to Windows Media Player and a fix for some USB problems. Enjoy! GLEN BURNIE, Md. ; LEUVEN, Belgium (November 12, 2007) --- Materialise N.V. and Materialise Dental N.V., manufacturer of 3D implant planning systems for accurate and predictable treatment planning of dental implants, have launched a U.S. patent infringement lawsuit in the Central District of California against Nobel Biocare, AB and its U.S. subsidiary Nobel Biocare USA. LLC. Specifically, Materialise contends that Nobel Biocare’s manufacture of “NobelGuide” drilling template violates a Materialise U.S. patent that was issued in 1998 relating to Materialise’s “SurgiGuide” techniques. The lawsuit in the U.S. is effectively an extension of a similar action in Europe where this past August the District Court of Dusseldorf ordered Nobel Biocare AB and Nobel Biocare Deutschland GmbH to stop offering the NobelGuide drilling templates in Germany, finding that they infringed Materialise’s analogous European Patent No. 0 756 735. This decision, which is preliminarily enforceable, is subject to an appeal of Nobel Biocare pending at the Düsseldorf Court of Appeals. Materialise’s U.S. lawsuit is also a response to a recent Nobel Biocare civil action (also filed in the Central District Court of California) that seeks declaratory judgments that Materialise’s U.S. patent is both not infringed by Nobel Biocare’s products and is invalid. "With this lawsuit, we are protecting our technology. Our “SimPlant” software was launched in 1991, and was followed by our “SurgiGuide” drill guides in 1999. The introduction of NobelGuide by Nobel Biocare, on the other hand, did not occur until 2005. " Materialise Dental has been promoting Computer Guided Implantology for many years, and our products, based on extensive Research & Development, have greatly contributed to the success of the implant dentistry field. Fortunately, the German court agreed that Nobel Biocare was infringing on our European patent, and we’re now hopeful that the U.S. courts will follow suit. Dental drill guides transfer surgical implant planning to the actual surgery. The litigations in the U.S. and in Germany concern methods for making medical models, including guides for dental surgery, which involve the use of grey value images and rapid prototyping. Over the last decade, Materialise Dental has gathered considerable clinical experience in this area. Research yielded groundbreaking results leading to the 1999 introduction of the first (bone-supported) version of SurgiGuide. This was followed in 2001 by a SurgiGuide version for zygomatic implants, in 2002 by a mucosa-supported SurgiGuide, and in 2003 by a tooth-supported SurgiGuide version. Dental experts and opinion leaders in the industry were well aware of the development of the SurgiGuide drill guides, which were presented at open conferences for clinicians. * April 19, 1994 – Materialise files its first patent application (in Belgium) for a “Method for Making a Perfected Medical Model on the Basis of Digital Image Information of a Part of the Body,” followed in April, 1995, by patent applications in the European Patent Office and the United States. Materialise Dental subsequently releases SurgiGuide drill guides in 1999. * June 16, 1998 – Materialise is awarded a U.S. Patent (No. 5,768,134) for same method as above. * August 5, 1998 – Materialise is awarded a European Patent (No. 0.756,735) for the same method as above. * June 5, 2005 – Nobel Biocare launches its NobelGuide product. * November 23, 2006 – Materialise files a patent infringement action asserting its European patent No. 0 756 735 against Nobel Biocare in the Dusseldorf District Court (Germany). * July 24, 2007 – Nobel Biocare files a request to stay the German infringement action. The Dusseldorf Court denies this request. * August 3, 2007 – Nobel Biocare files a declaratory judgment civil action in the Central District of California seeking a declaration of patent non-infringement and/or invalidity of Materialise’s U.S. patent, and a declaration of authorization to produce by a patent licensee. * August 14, 2007 – The District Court of Dusseldorf rules that Nobel Biocare is indeed infringing on Materialise’s European patent No. 756 735 by its unauthorized use of a method for producing guides for dental implant surgery. * October 15, 2007 – Materialise files a counterclaim for U.S. patent infringement against Nobel Biocare AB and Nobel Biocare USA in the Central District Court of California. Materialise Dental focuses on 3D Digital Dentistry and offers a range of products and services to aid dental professionals in the treatment of their patients. Materialise Dental is the manufacturer of SimPlant and SurgiGuide internationally. SimPlant software, one of the most recognized names in computer guided surgery, is the world's first interactive 3D implant planning system for the most accurate and predictable treatment planning of dental Implants. As the industry leader, SimPlant software is available in six different languages and is utilized by thousands of clinicians all over the world. Materialise Dental is one of the independent market leaders in dental implantology simulation software and one of the worldwide leaders in medical modeling technology. Materialise Dental provides surgeons with the most detailed and precise virtual 3D models available. Clinicians around the world use medical models and templates created by Materialise Dental software to assist them in the most complex surgical cases. Materialise Dental is a trusted partner worldwide for the largest hospitals and research institutions. Materialise Dental is based in Leuven, Belgium, with its U.S. operation headquartered in Glen Burnie, Md. For the last month or so I've been testing and working with the Genius BT-03A Bluetooth headphones. One of the biggest problems with patient entertainment is when someone needs headphones to give themselves that extra bit of isolation to what's going on in the clinical environment. Often, a patient can bring in ear buds, but where to plug them in? 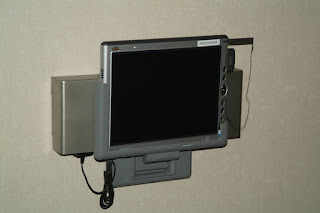 Some monitors in an over the patient layout have headphone jacks, so that can be one way to solve the problem, but that means the patient is tethered to the monitor. To the rescue comes the Genius BT-03A. The kit contains everything you need and is a snap to set up. You charge the headphones and transmitter, plug the transmitter into a headphone jack, pair the devices, and they are ready to go! Since they are Bluetooth, the headphones are wireless with a 10 meter (30 foot range). No more being tethered with a cord! 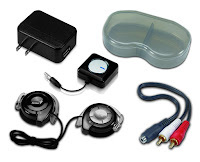 The sound quality is excellent, and the over the ear style means that patients can still hear you if necessary. The device comes with everything you need and is highly recommended! I've been using lasers in my clinical practice for almost 10 years now and there is no way I would ever go back to practicing without them. They are efficient, fast, and the lack of post-op discomfort, even on aggressive soft tissue surgery is amazing. Now, we may be entering a new era of laser usage in medicine. Researchers at Arizona State University have announced they have developed a laser that kills viruses. Lasers have been able to kill viruses before this discovery, but what these researchers have developed is a laser that accomplishes this without the use of heat. This allows the laser to kill the virus without any collateral damage of surrounding healthy cells. The laser emits Fento-second pulses that, instead of creating heat, create a vibration that basically shatters the protein coat of the target and destroys it while leaving surrounding healthy structures in tact. The laser may be in the dermatology market in 18 months and be used to remove cancers and moles. Researchers are hoping to also use it to kill HIV viruses as well. 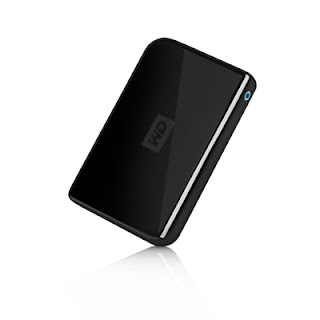 Western Digital 1 TB drive for $329 at Sam's Club! East Windsor, NJ (November 8, 2007) – Conair, a leading manufacturer of nation-wide branded personal and healthcare items, is pleased to announce a special offer on its latest power toothbrush. For a limited time, dental professionals who order the Interplak™ DPI9R Electric Toothbrush through the Interplak hotline can purchase it at a special low price of $35 (regularly $64.99). Conair introduced its Interplak DPI9R Electric Toothbrush back in 2006. The latest in Conair’s line of preventative oral care products, the Interplak DPI9R Electric Toothbrush features a state-of-the-art design engineered for simple user-friendly operation, making sparkling clean teeth and healthy gums virtually effortless. Select among two speeds for rapid or gentle cleaning: slow speed is excellent for sensitive areas, while the rapid option is ideal for an overall deep clean. 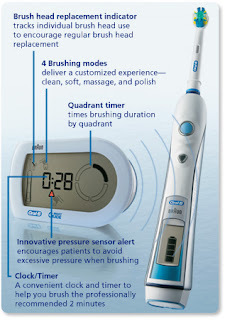 A built-in two-minute timer helps the user complete a thorough brushing and features an automatic shut off feature when done to conserve battery power. polishing bristles help clean, polish, and massage teeth and gums. A whitening brush head is also available with flat-topped pads to polish tooth surface for a sparkling white shade. The plug-in rechargeable DPI9R power toothbrush plugs directly into any standard AC electric outlet to charge its internal battery, eliminating counter clutter and the need for an additional charger base. The cordless operation of the DPI9 allows for hassle-free, limitless maneuvering of the brush to efficiently clean teeth and gums at many angles. The Conair DPI9R Interplak™ Electric Toothbrush includes a convenient travel case which is ideal for easy on-the-go oral care or storage. Additionally, the Conair DPI9R Interplak™ Electric Toothbrush comes equipped with a limited one year warranty. Regular use of the Interplak DPI9R helps remove plaque, control gingivitis, prevent cavities, and reduce the onset of gum disease. For more information or to order the Conair DPI9R Interplak Electric Toothbrush, please call the Interplak hotline at 1-800-633-6363. Conair is engaged in the development, manufacturing and marketing of health and beauty products and kitchen and electronic appliances. Since its founding in 1959, the company has become a leading manufacturer of nationally branded personal and healthcare small appliances. The company's divisions offer a diversified mix of professional and consumer products under their own brand names as well as for private labels. Conair's sales offices are in Stamford, Connecticut, with large distribution centers in East Windsor, New Jersey, Phoenix, Arizona and a manufacturing facility in Rantoul, Illinois. The Interplak™ Division of Conair features electric toothbrushes with rotary and counter-rotational cleaning systems, battery-operated and rechargeable brushes, and powerful water jets to provide the tools for excellent oral care at home. You can access Epocrates’ free drug and formulary information on most BlackBerry devices, including the Pearl, Curve, 8700 and 8800 series. So if you have one of these BlackBerry models, down load ePocrates now!!! Current BlackBerry device owners can start downloading Epocrates today. Simply point the browser to http://get.epocrates.com and log in. Eatontown, NJ – (November 9, 2007) – Lanmark Group, a full-service, business-to-business, advertising, marketing, and communications agency specializing in brand empowerment for the healthcare industry recently earned six coveted MarCom Creative Awards - an international competition for marketing and communication professionals. Out of the 5,000 entries from throughout the United States and several foreign countries, Lanmark Group was honored with two Platinum, three Gold and one Honorable Mention. One Platinum MarCom Award was presented to the agency for a brochure design prepared by Lanmark for Sirona Dental Systems’ CEREC dental CAD/CAM system. An additional Platinum MarCom Award was presented for a micro web site Lanmark developed for the launch of Milestone Scientific’s Single Tooth Anesthesia (STA™) System. The prestigious Marcom Platinum Awards are presented to those entries judged to be the most outstanding entries in the competition. Only approximately 15% of the entries won this award. Platinum winners were recognized for their excellence in terms of quality, creativity, and resourcefulness. Lanmark Group also received three Gold MarCom Awards. One Gold Award recognized a unique invitation created by the agency for Orapharma Inc.’s 2007 American Dental Association networking reception entitled, “Uncork the Excitement”. The winning invitation featured an actual wine cork, and requested the presence of invitees to attend Orapharma’s exclusive event which featured a wine-tasting. The agency received another Gold MarCom Award for a recruitment brochure created and distributed on behalf of Darby Dental Supply entitled, “Keep Moving Forward by Joining Our Unique Team” The brochure explained the company’s corporate culture and targeted prospective employees, explaining the benefits of employment within the company. An additional Gold Award was presented to Lanmark for a technical article developed with industry leading cosmetic dentist Dr. Joel Benk for Milestone Scientific that ran in the publication Contemporary Esthetics Entitled “The Dental Syringe: Past and Present: A Historical Perspective” the piece positioned Milestone as a break-through leader in dental syringe technology based on the benefits of its innovative Single Tooth Anesthesia (STA™) System. The Gold Award is presented to those entries judged to exceed the high standards of the industry norm. Approximately 16% of the entries received this award. Lanmark Group also received an Honorable Mention Certificate for a technical article created with nationally known dentist Larry Lopez for the DentalEZ® Group that ran in Contemporary Esthetics entitled “Handpieces Then and Now: A Historical Perspective...” By-lined by Larry Lopez, DDS, an esteemed leader in the dental industry, the feature article detailed the dental handpiece evolution from a historical perspective. Honorable Mention certificates are granted to those entries that meet the expectations of the judges. Approximately 10% of entries were Honorable Mention winners. The MarCom Creative Awards is an international competition for marketing and communication professionals involved in the concept, writing, and design of marketing and communication programs and print, visual, and audio materials. Entries come from corporate marketing and communication departments, advertising agencies, PR firms, graphic design shops, and freelancers. Part of the Communicator Awards, the Mission of the MarCom Creative Awards is to honor excellence and recognize the creativity and hard work of marketing and communication professionals. The judges for MarCom are experienced professionals who have handled projects similar to anything that is submitted. The judges are cognizant of what an entrant has to work with, and make their evaluations accordingly. Founded in 1977 and located in Eatontown, New Jersey, Lanmark Group is an award-winning, full-service advertising, marketing, and communications agency specializing in the healthcare fields. The company’s client roster includes Darby Dental Supply, DentalEZ Group, Johnson & Johnson Oral Health Products, OraPharma, Sirona Dental Systems, and Wm. Wrigley Jr. Company. Accolades include (but are not limited to) three 2007 JASPER awards, five 2006 MarCom Creative Awards, four 2006 Jasper Awards,. Lanmark also ranked 12th in NJBiz Magazine’s “Best Places to Work in New Jersey” survey in 2006. For more information, visit www.lanmarkgroup.com. manufacturer of consumer and prosumer networking and connectivity products, is pleased to announce its entrée into the security solution arena with the launch of the Zonet Internet Protocol (IP) cameras, initially introducing model 7630 and model 7630W(wireless version). to be placed almost anywhere. With their own IP address and built-in web server, they connect directly to the user’s network and can be remotely accessed from a standard Web browser. The security cameras feature superior image quality in three different resolutions, up to VGA (640x480), with transfer rates of 30 frames-per-second. 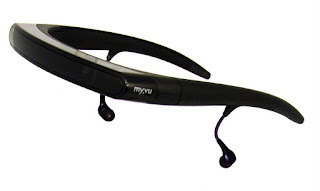 With the built-in omni-directional microphone, users can not only see but also hear what’s transpiring; and with the included night-vision capabilities, users can even see in the dark! Both models offer the ability to record streaming video with sound to a hard drive,or schedule and upload images to FTP or send over email – making these a complete, yet affordable video security system. In addition, both models feature motion detection and customizable automated alert notifications. Debuting in the US in November, the new security cameras from Zonet will be offered for a suggested retail price of $220(ZVC7630) and $320 (ZVC7630W - wireless). The night-vision IP cameras are perfect for retail stores, offices, hospitals, hotels,restaurants or even for a little extra security at home. With its easy to access browser interface, users can keep a remote eye and ear on locations, even when traveling on the other side of the world. The IP cameras make an ideal solution for reception areas,entrances and exits or anywhere a little extra visibility is needed. In addition, users can easily broadcast video activities to viewers in real-time over a local network or the Internet. 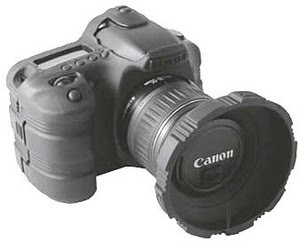 authorized Zonet distributors, resellers and online retailers. For detailed information on availability please visit www.zonetusa.com and check the “Where to Buy” section. Zonet was founded by a group of Ethernet Professionals to develop and supply to the Network Connectivity industry. With leverages in R&D and manufacturing capabilities Zonet is aggressively developing new and user-friendly products for the ever changing world of connectivity. Our strategic alliances with component suppliers allows us to provide the highest quality products at affordable prices. Zonet's product line is positioned to be a niche player in the SOHO and Connectivity markets. Welcome everyone to my new blog location. I've made the move for a couple of reasons. Blogger allows me more freedom to post on the fly and keep things up to date from a mobile Internet point of view. This will be especially good when I'm at meetings on the show floor scouting for new products. Yahoo has been less than a stellar blog hosting site and I've simply had enough. So thanks for making the move with me. I think you'll find that this is a good thing for all of us.